That is right...we have two female Indian Runner ducks. No, we did not go out and get them, they came to us. Please don't get chicks and ducks for Easter...or bunnies either! I am a chicken keeper and I don't get chicks at Easter. they will need more space than a laundry basket or a bathtub. OK...moving on with the story. running errands and there is a child's pool with 2 ducks in our front yard. Who knows what my neighbors think go on over here!?! Let alone my husband...he has the patience of Job. she thought they would raise them and they would fly away. I felt so bad for the animals, I had to take them in. 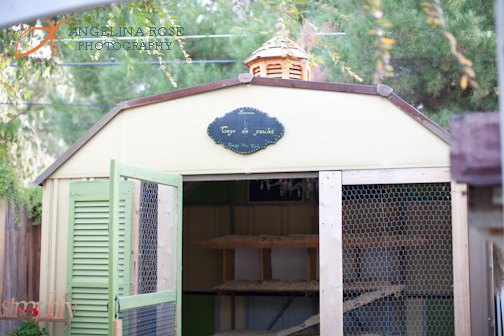 really cute and add to the backyard antics here at the Boho Farm. and our almost 16 year old daughter will raise them. Cat has always been a lover of harlequin ducks. Duck eggs are richer than chicken eggs and perfect for pastries. I'll keep you posted on all the duck egg baking. Coming soon...the finished kitchen post! My Mom used lots of duck eggs for baking when I was a child. We did have ducks as pets. Our baker baked rich cakes with them. Wishing you good luck! Evidently that person knew nothing about ducks. So glad you took them in. Love Indian Runners, they run around like a bunch of bowling pins velcro'd together. I'm always begging people not to get their children pets on Easter. Just because we live in the country doesn't mean they're easier to keep and bunnies, no bunnies. OK, I'm done. I think your ducks are cute and I can't wait to read what recipe you'll use them. We're able to buy duck eggs at our local grocer too. We've not had pet ducks since I was a little girl! These look so sweet. I have never cooked with duck eggs, but I think I might like to try. Maybe Whole Foods carries them. I fight this fight every year at my store. We will not sell ducklings until two weeks after Easter. We do have chicks beginning in mid March but we always ask questions before selling them. If someone tells us they want the chicks for Easter for the kid/grandkids, we usually talk them out of it unless they live on a farm or hobby farm. The looks I get when I tell grandma that she can't buy chicks from us to put in the Easter basket! I just don't get it. I have actually had people tell me they plan to let them go "next week". Ugn! Will you be keeping them for always? Yes, duck eggs...wonderful. I am wondering if maybe we can be getting some ducks...but we'll be needing a watering hole! We're NOT an urban farm...so we could do this. Yes, and Amen to 'don't get Easter chicks or ducks' ...It was around that time that we acquired our 13 Nuggets. Who will hopefully be going in the freezer THIS weekend. The Whizbang chicken plucker has gotten the final touches and it spins like crazy! So...we may be plucking chickens and filling the freezer up! yay! Those are two lucky ducks! Sad that people are so irresponsible but that's why God made people like us who will take the castoffs in! I'm linking this up to my blog fest if you don't mind...lovely story! 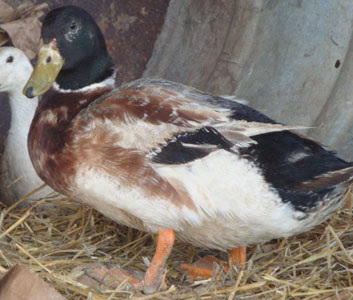 My daughter had one of these female runner ducks and she had such a problem with the larger male ducks of a different breed being extra mean to it. I do not remember if she gave the mean male ducks away or had to part with the sweet runner duck that was one of the grandsons favorite. Great having people like you that can help out when things just do not work out for others. Oh my goodness my babies! They are so cute. (: Love the ducks.